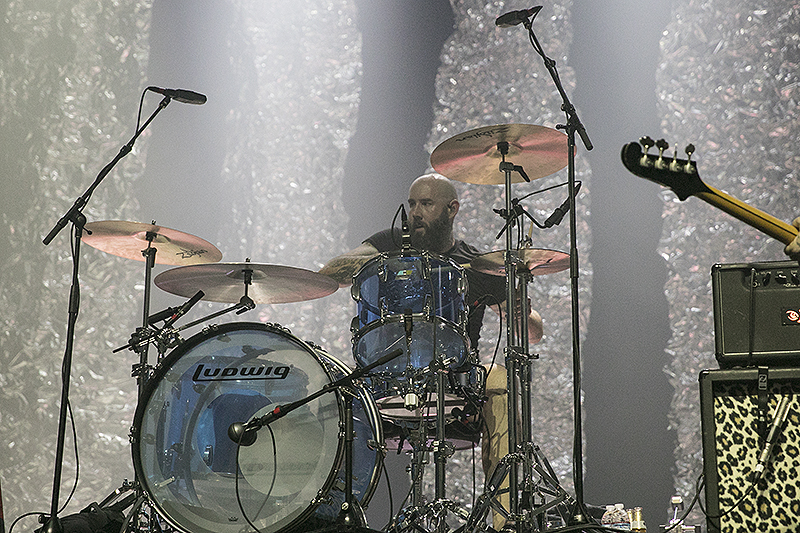 The Distillers made their way to the stage as the crowd went wild. 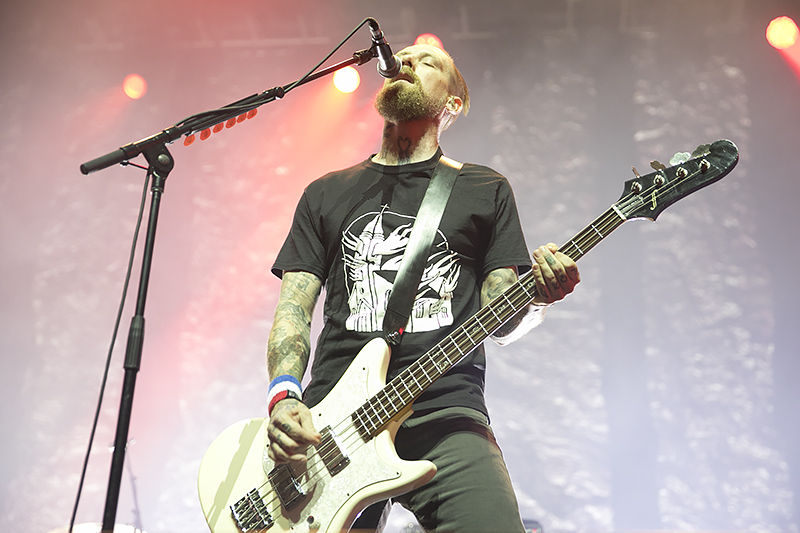 The band wasted no time jumping into the set as guitars geared up to the riff of “Drain the Blood,” the opening song off their 2003 album Coral Fang. The room started jumping and the mosh pit was brewing seconds in. 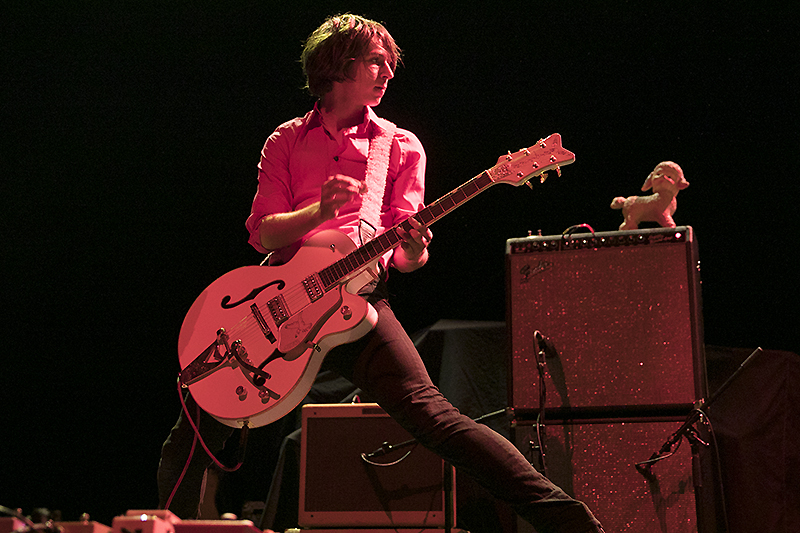 Clean, crisp punk rock with tight instrumentalization was delivered in a heartbeat that Friday night. 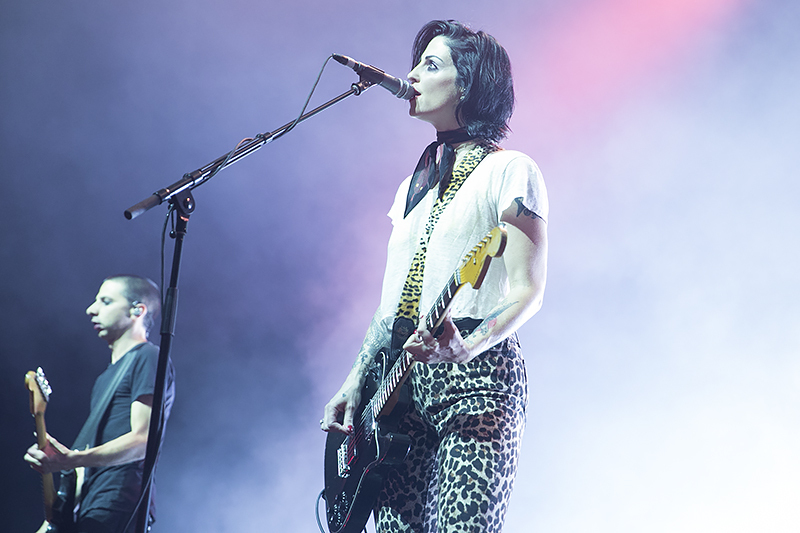 Brody Dalle’s raspy, tough voice has lasted unchanged since they toured fifteen years ago, growing into time, their fashion has changed since Dalle’s spiky haired badass debut. 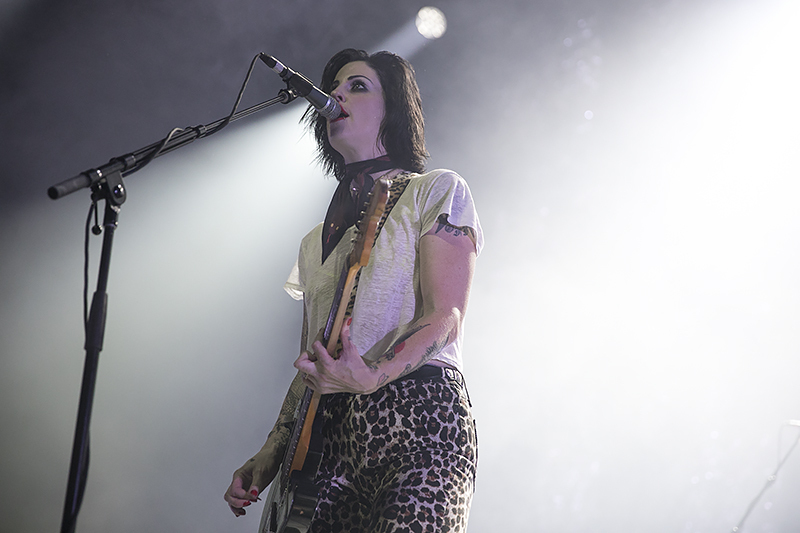 Dalle wore leopard print pants, a white tank top and neck scarf with her hair in a manageable medium length bob that allowed her to shake her dark hair around with every head bang. There were no dull moments as the energy was everlasting. 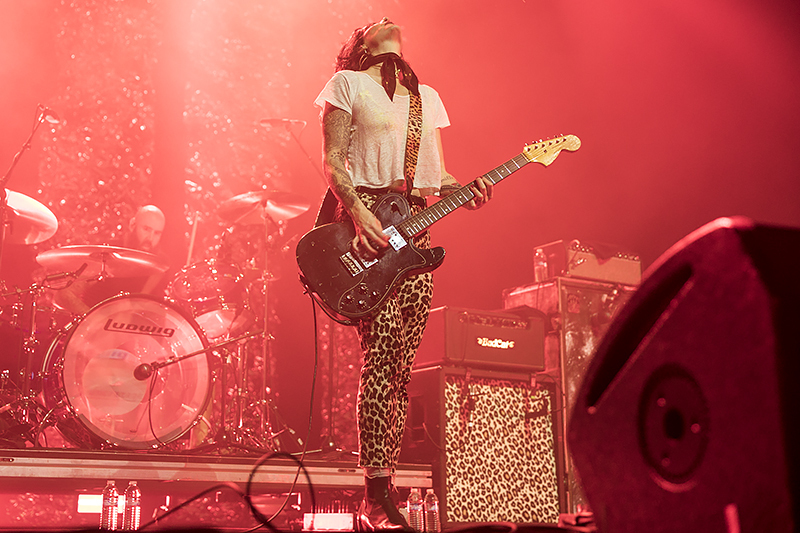 The mosh pit did not stop so long as The Distillers were on stage. With quickness the band started the next song, Sing Sing Death House’s “I Understand,” a song that immediately takes listeners on a wild ride in the shoes of a misfit teenage Dalle. Three powerful songs from Coral Fang followed, “Dismantle Me”, “Hall of Mirrors” and “The Hunger.” Time slowed for the acoustic opening portion of “The Hunger” as Dalle serenaded her way into a yell. Hungry eyes, they stare at me. I know, I know. 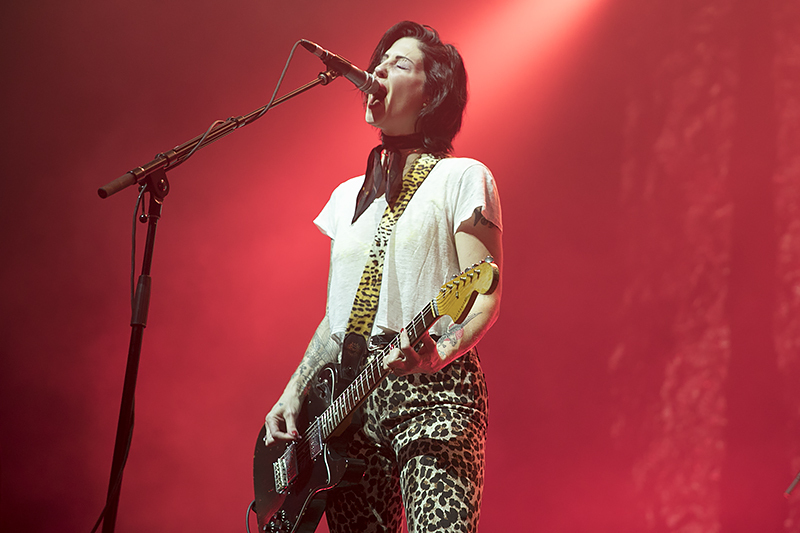 Next song to hit the stage was the Distillers’ newest “Man vs. Magnet,” which has an alternative sound with less rasp and more harmonizing, similar to Dalle’s solo projects, followed by a short B-side called “Solvent.” Conclusively, they tied the show together with additional classic songs from Sing Sing Death House and Coral Fang. Dalle’s vocals are heart wrenching in “The Gallow is God,” while guitars give sense of the body breaking. “For Tonight You’re Only Here to Know”, is an intimate song that sets lover’s embrace and distance all at once over shredding guitars. The strings’ sound leaks the sensation of tingles. At this point in the show if people weren’t crying, they were probably still moshing. 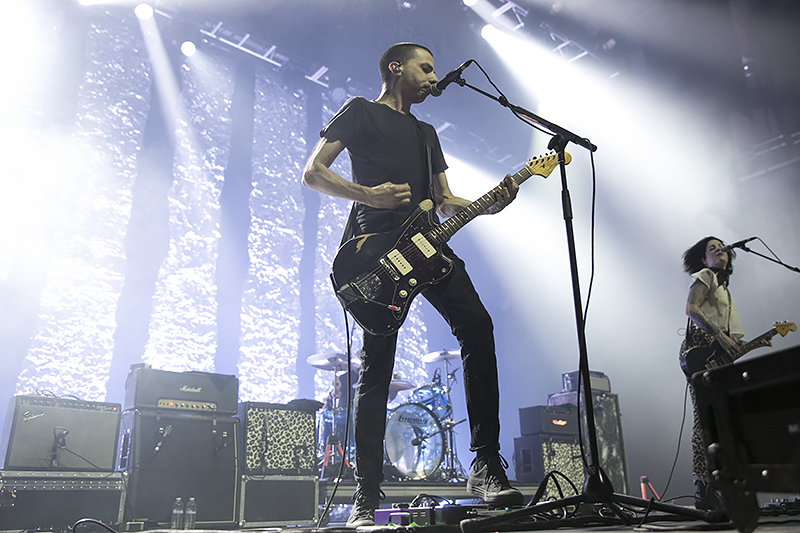 Maybe they were crying and moshing at the same time as the familiar sound of one of The Distillers breakthrough tracks “City of Angels” roared, firing up moshers to their boiling point. 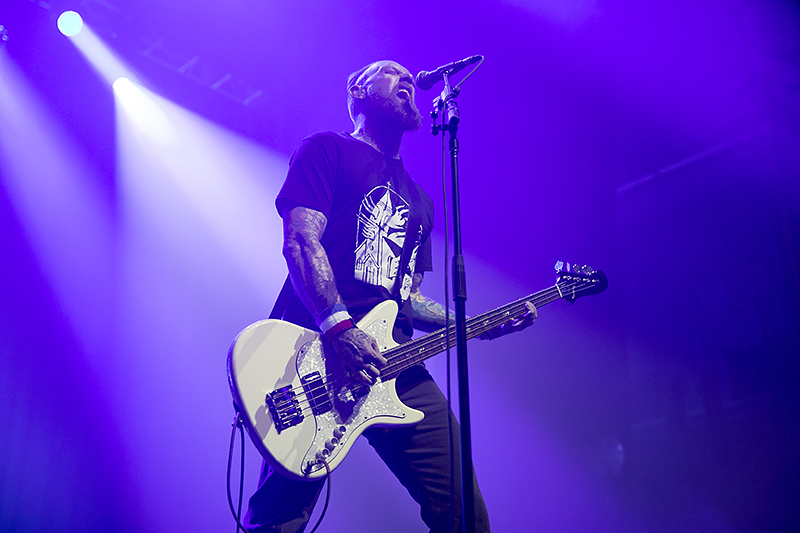 Listeners sang along and synchronized to their shouted words, “They say / This is the city / The city of angels / All I see is dead wings.” The energy swirled through “Sick of It All,” a punk rock anthem about psychologically damaged teenage angst. 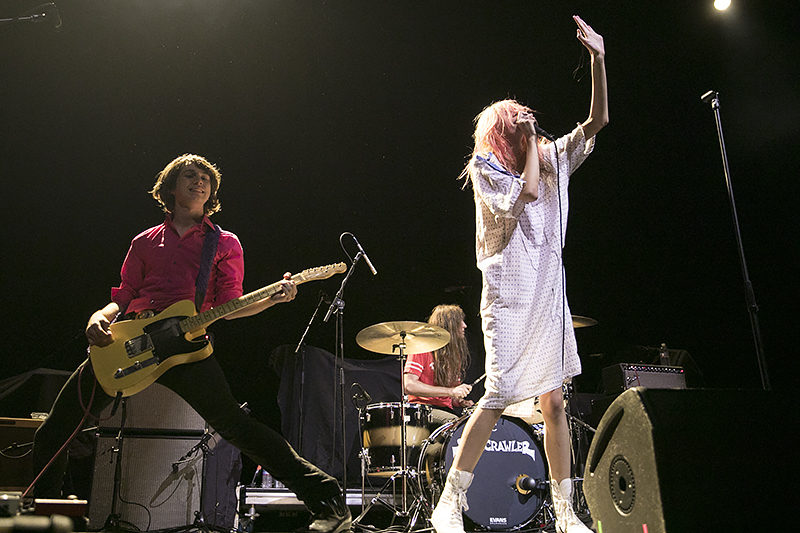 The Distillers exited the stage waving at the audience and running. Everyone wanted more and made noise. 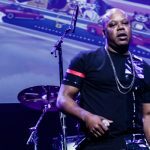 They quickly returned to the stage to close out the set with a single song, the high energy track “Coral Fang.” Classic “Oooh ahh ohh’s” filled the air to recklessly soothe the crowd into good night. 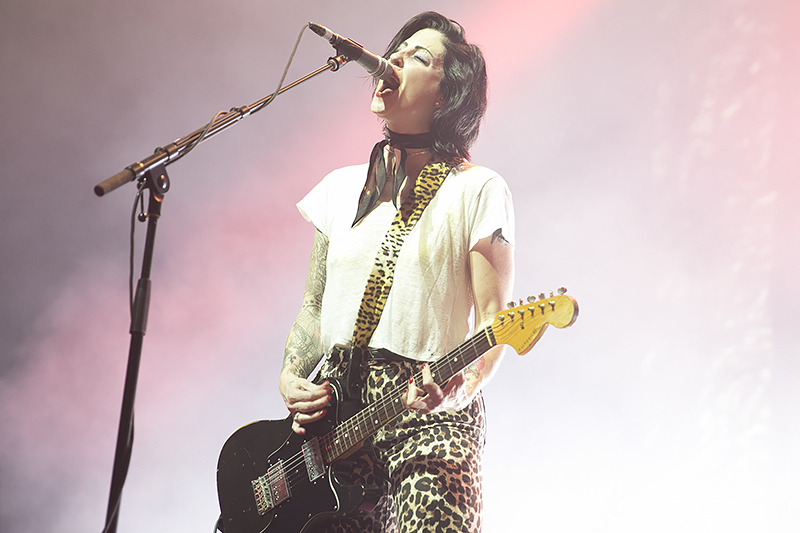 Before The Distillers…what appeared to be a trio was bombed by the towering presence of rock’n’roll crazed lead singer Arrow de Wilde as she stumbled on stage pigeon-toed, rumbling her body to the riffs. 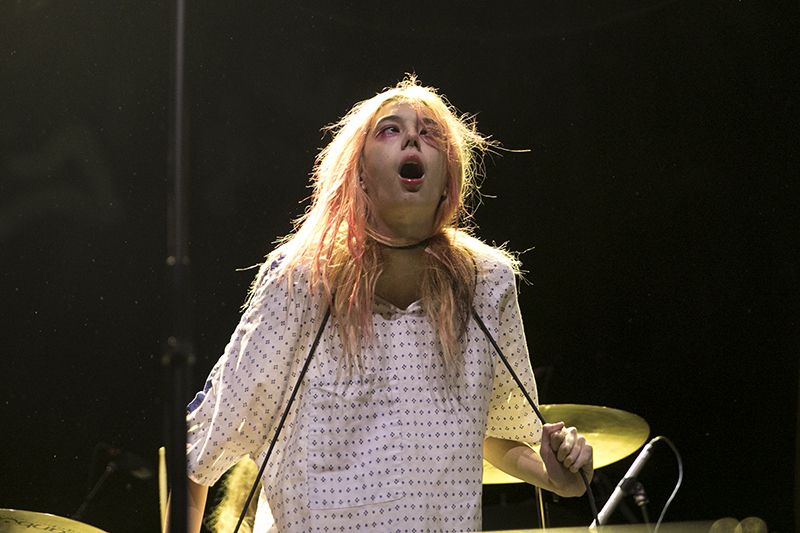 Starcrawler are a quartet from LA and their tractor beam magnetized the crowd – surprisingly capturing every early bird’s attention. 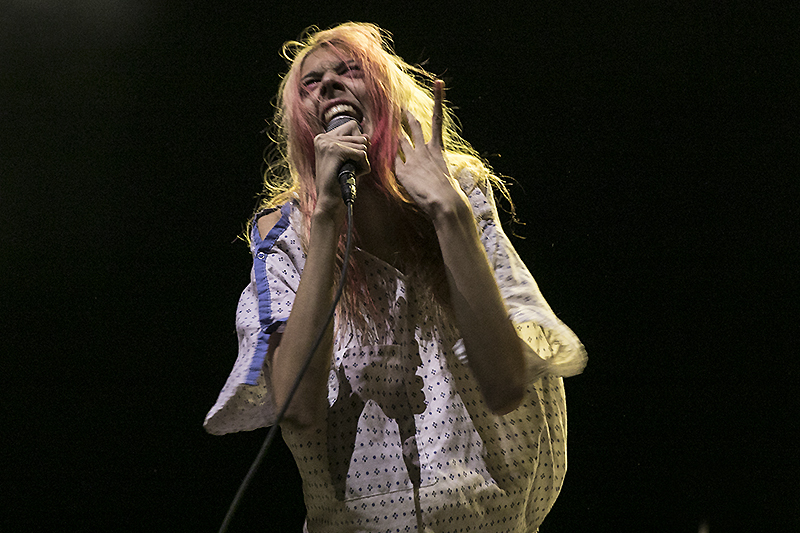 To think, someone outside the venue said “who cares about an opener?” Starcrawler are so action-packed people were gasping in awe and had people screaming “I love you!” before the headliner. Find out more about The Distillers on their Facebook page. 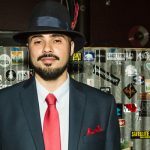 Ashleigh is a young, stealthy photographer who grew up on a healthy dose of punk, funk, hip-hop and rock n roll. Shooting musicians since 14, she developed an eye for capturing passionate moments. The first concert she remembers was No Doubt, Cake and the Vandals at Arco Arena in 1997 and most memorable concert was Black Rebel Motorcycle Club’s acoustic set at Great American Music Hall in 2008. Her personal projects chronicle bay-area bands including the Coup, who published her work on their single cover. After graduating SFSU, she’s spent much time working at a San Francisco photo lab and now works as the content, office and photography manager for DOPE Magazine's Northern California Region. Her analog taste creates photographs that emphasize timeless emotion. Find her in the pit!